Who doesn’t like black beans? Who doesn’t like bacon? Who doesn’t like those hot little chipotle peppers? Okay, some people don’t, but I believe most do. 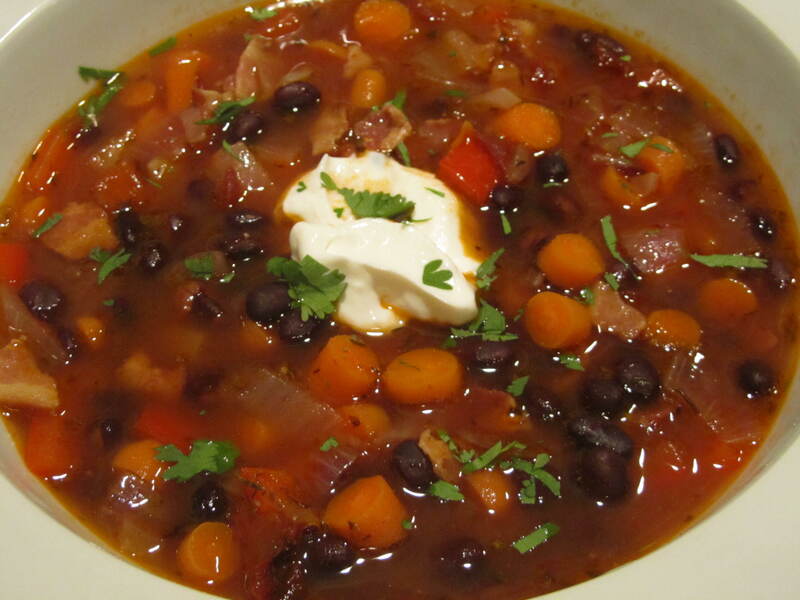 Combine the two in a relatively light soup and top with a dollop of sour cream. Total yum! You can buy pre-made crepes for this recipe, but I recommend going the extra mile and making your own. It’s pretty easy and they’re much tastier. 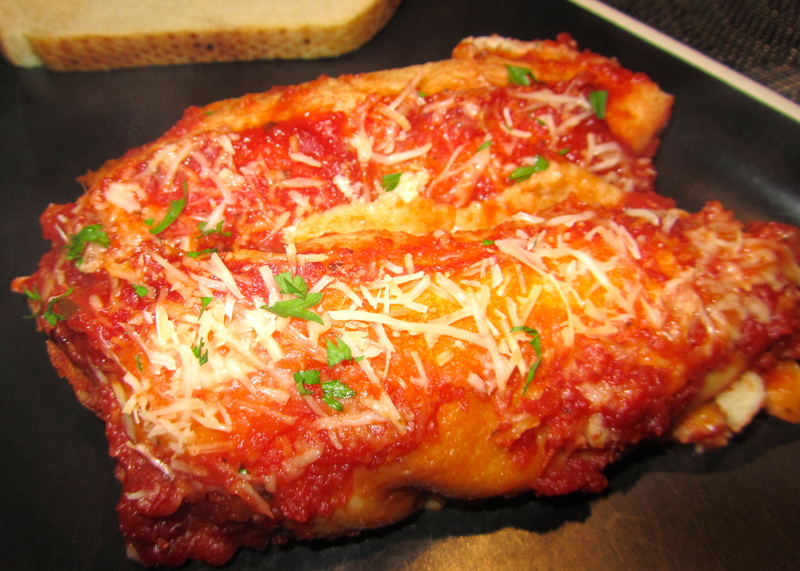 I wish I could say this dish rated all “thumbs up” because it certainly deserves it, but Senior is not big on meatless “Olive Garden” type food. So, Senior aside, it was YUMazing! Obviously enchiladas are a family favorite since I make them a couple times a month. 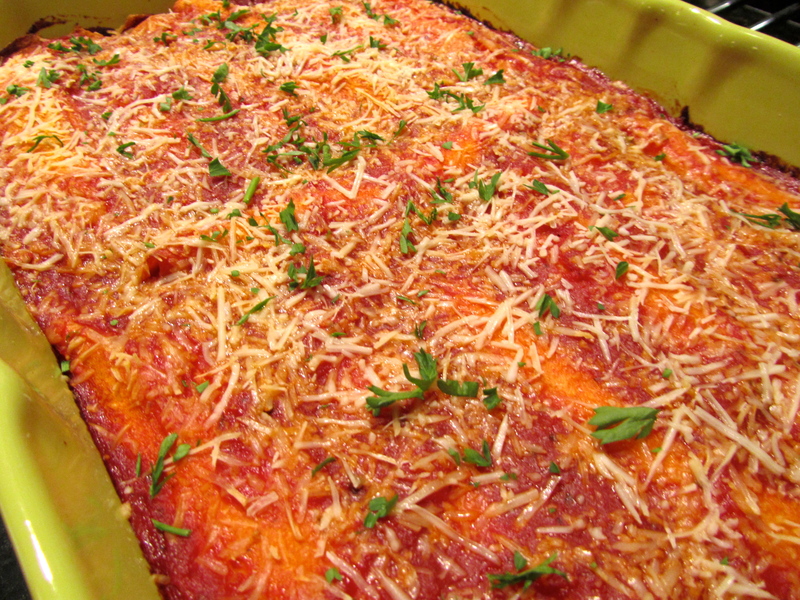 They’re all good–really can’t go wrong with enchiladas–but the roasted red pepper makes these stand out beautifully. 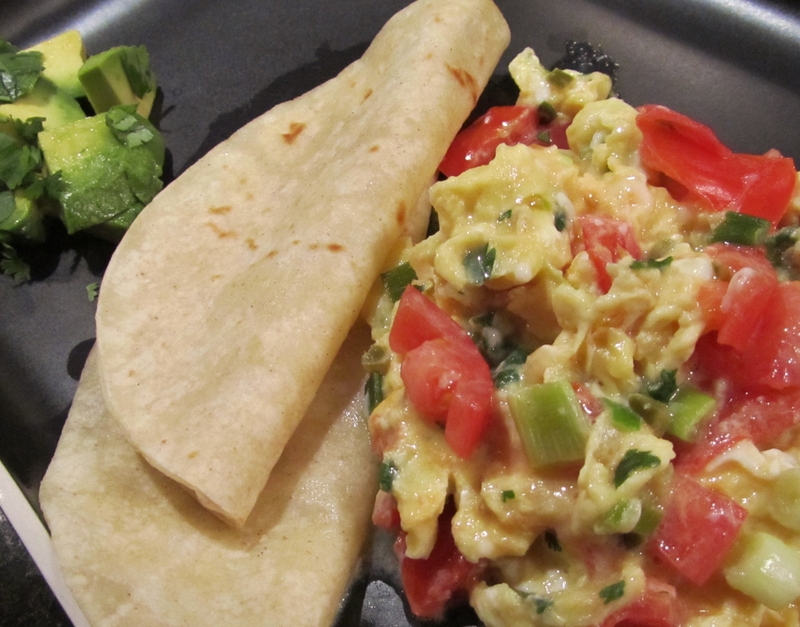 Easy to make and too good not to eat down to the last serving. 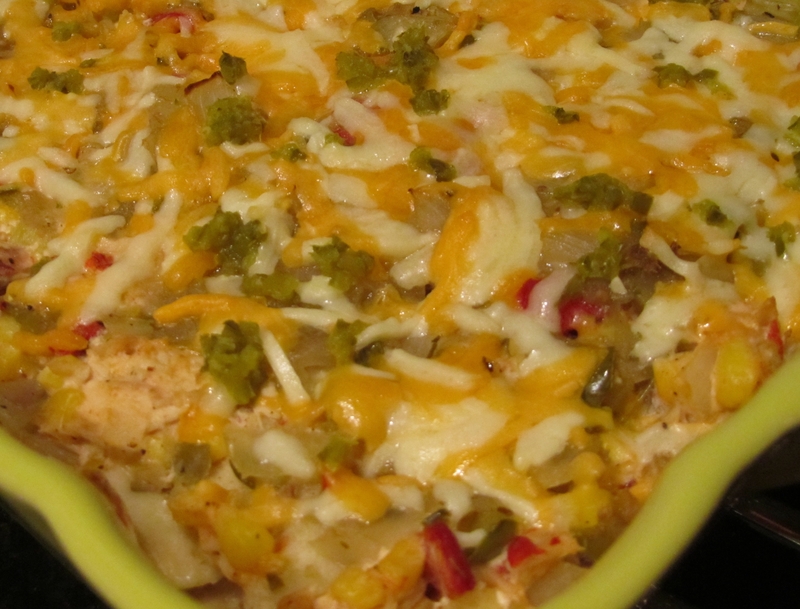 6) Spread 1/2 cup salsa mixture over bottom of baking dish; layer half the tortilla quarters over salsa, followed by half the chicken mixture, the remaining tortilla quarters, and the remaining chicken mixture; bake in oven 15 minutes; scatter cheese and remaining jalapeños over top and cook additional 3 minutes until cheese melts; serve it up! We’re definitely moving toward cold weather food here in Tennessee, but that doesn’t mean we have to abstain from the occasional cool, crispy salad (served alongside a bowl of soup). 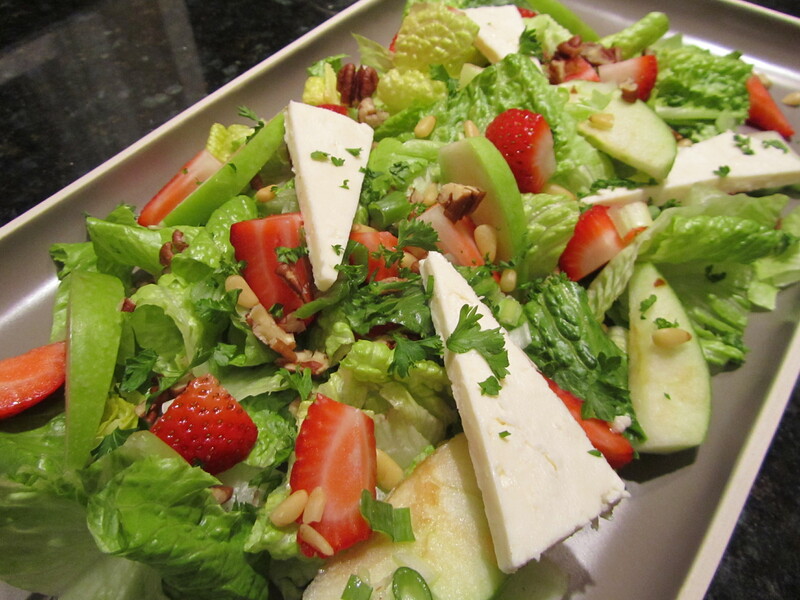 Though chill rain was falling outside, this Strawberry-Feta-Pine Nut Salad hit the spot and my guys left the table full and happy. Give it a try! 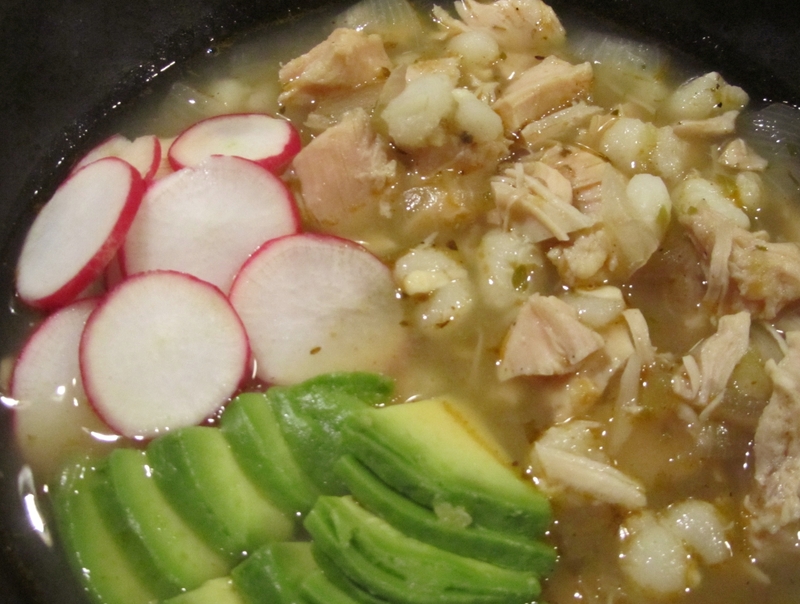 I adore hominy–hot or cold–and this soup combines those lovely morsels with chicken, tomatillo salsa, avocado, and radish. It’s on the spicy side, so you’ll need a large glass of water at hand, but don’t let that stop you. Super yum! Though, in my opinion, salmon isn’t the tastiest fish, it certainly is among the prettiest to land on a plate. 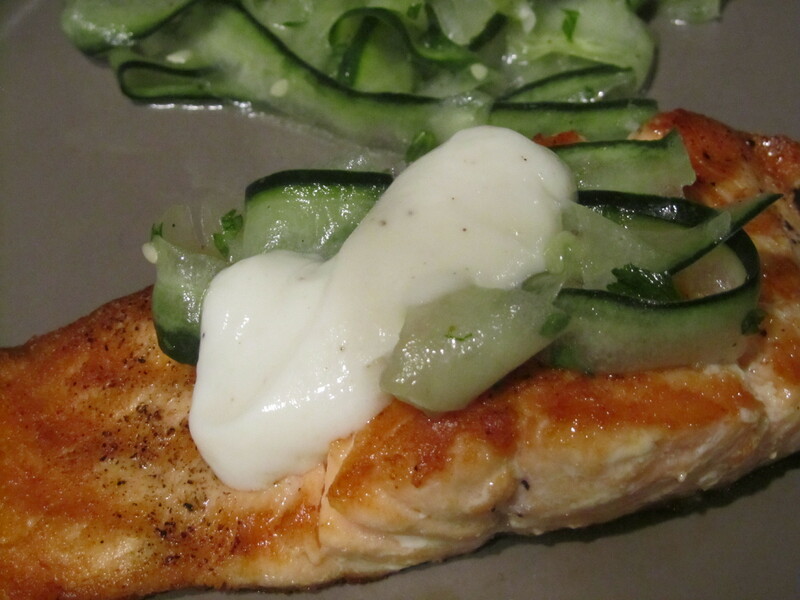 However, add a refreshing cucumber salad and a yogurt-based sauce and you will have some happy eaters. This recipe is an adaptation of Sunset Edible Garden Cookbook’s “Grilled Salmon with Herbed Cucumber Salad.” Yummer!